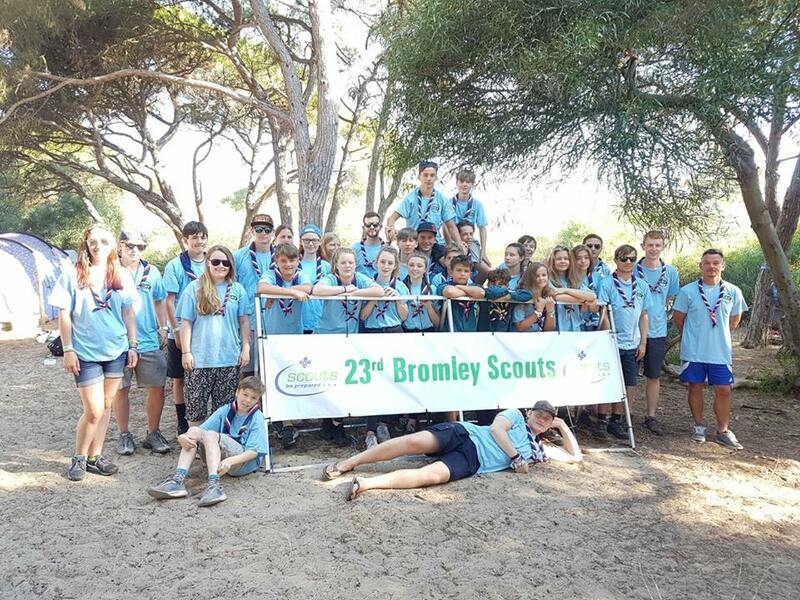 In August 2017, over 30 Scouts, Explorers and Leaders took part in the Bromley District expedition to Portugal. We are proud to have the largest representation amongst the 197 people from across the district. All stayed at the PNEC Campsite which was to the south of Lisbon. Everybody from the 23rd Bromley camped on the Green Subcamp alongside groups from elsewhere in Bromley and Penge & Beckenham, which gave the Scouts and Explorers a great opportunity to meet fellow Scouts. 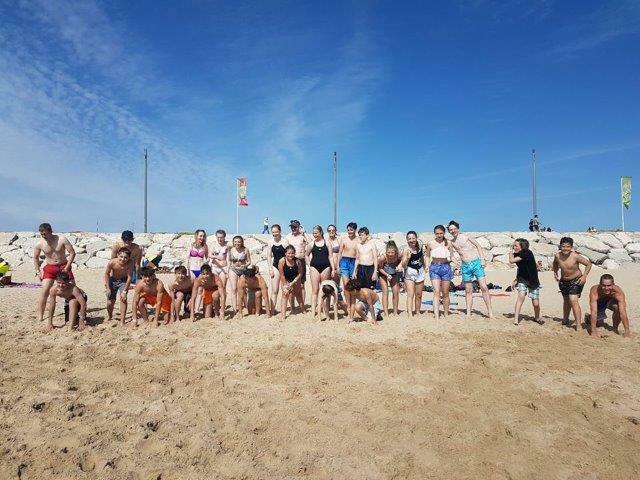 There were three different activity groups for our Scouts and Explorers and over six days they took part in a range of different activities. 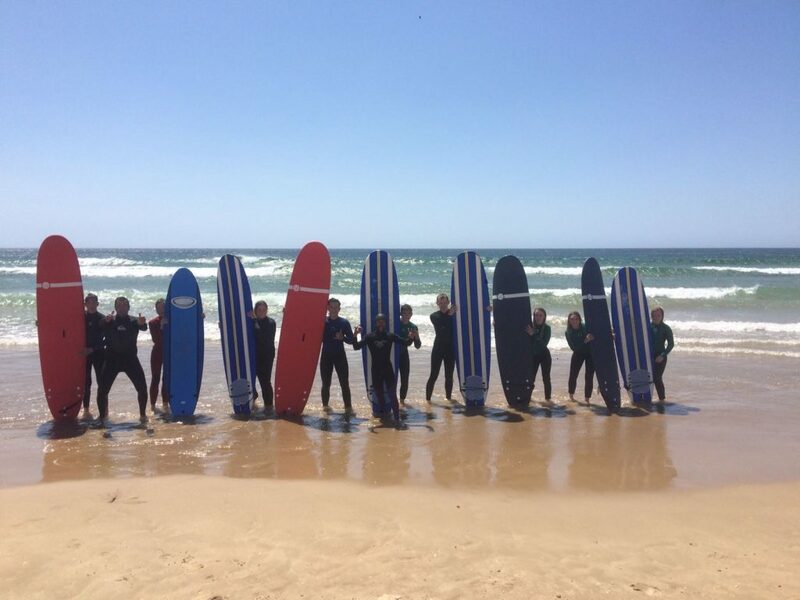 These included a visit to Lisbon and the Cristo Rei, Surfing, Paddleboarding, Sand-sculpting, a High Ropes Course, Team Building, Paint-balling, Crazy Golf, a visit to the Benfica Football Stadium, Pioneering and a culture session about Portugal. The campsite was only a matter of meters from the Atlantic so there were a couple of trips to the beach as well! All of the Scouts, Explorers and Leaders had a fantastic fun filled week in Portugal and came home for a well earned rest. The group would like to thank everybody from the Bromley District Youth Events Team (YET) who organised such an awesome event.